At least that’s what Beliefnet will tell you. There’s a “cover” story on 5 Religions you never heard of. Asatru is first up on that list. Asatru is a modern revival of the beliefs in the ancient Gods of the Germanic and Nordic peoples: Freya, Thor, Odin and others. For many Asatruar, embracing this faith feels like being called home to the way of their ancestors. 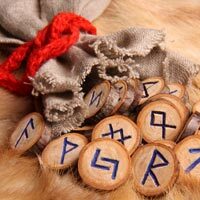 Although a small number of white supremacists have claimed to follow Asatru, generating controversy in the news, they are not representative of Asatru at large. Following a moral code, Asatruar believe that life is good and should be lived with boldness and enthusiasm, and value courage, honor, industriousness, and personal responsibility. Gathering by “hearths” and “kindreds” they honor the Gods, ancestors, and tribal connections to family and kin. Would the Asatruar on my list agree, disagree with this assesment? More later, as I’m off to coffee and pondering.